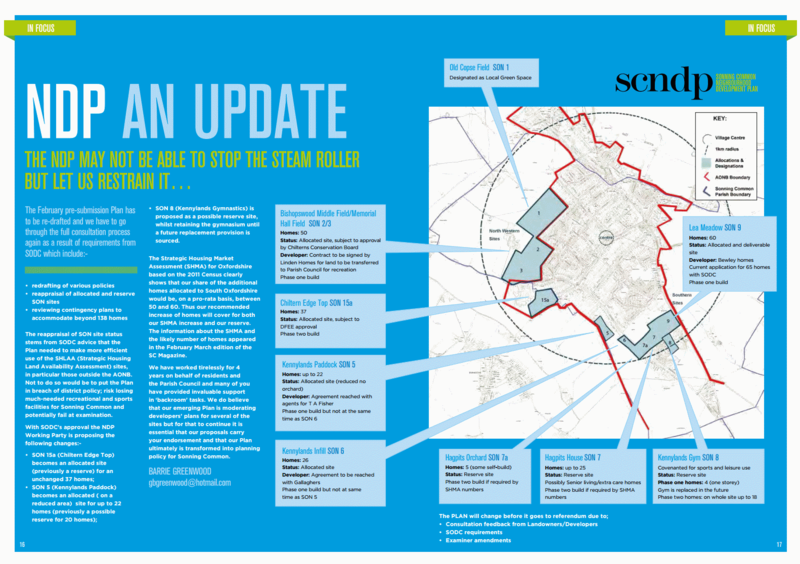 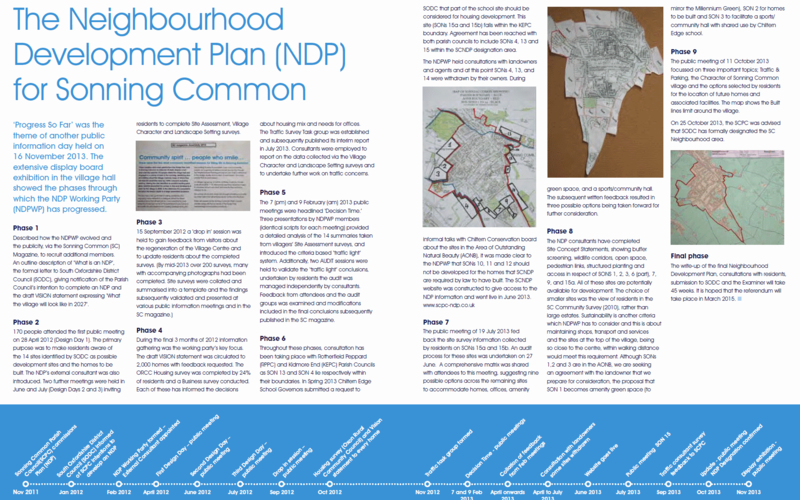 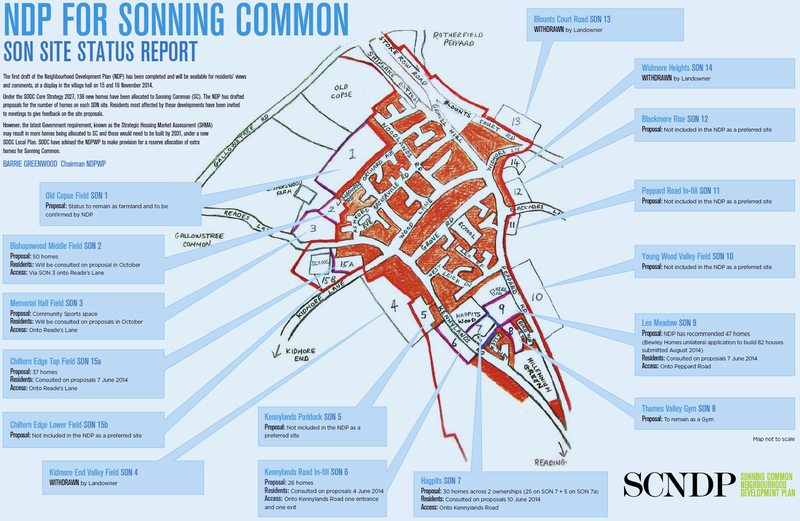 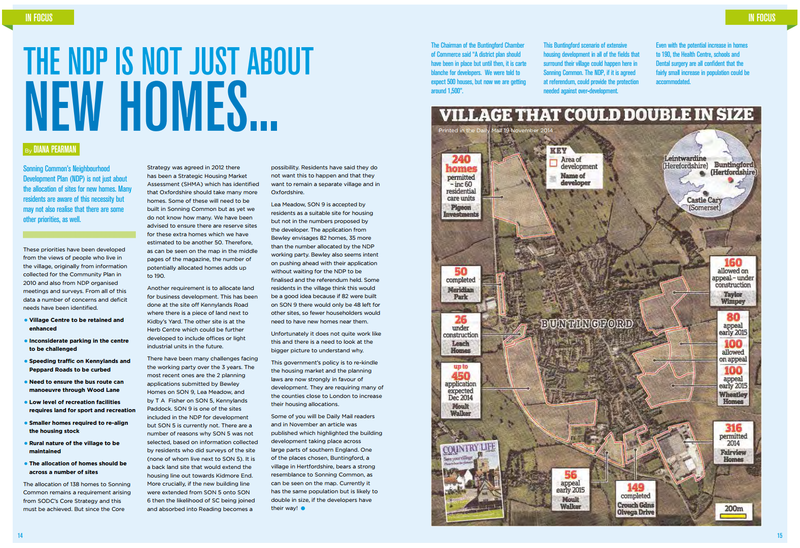 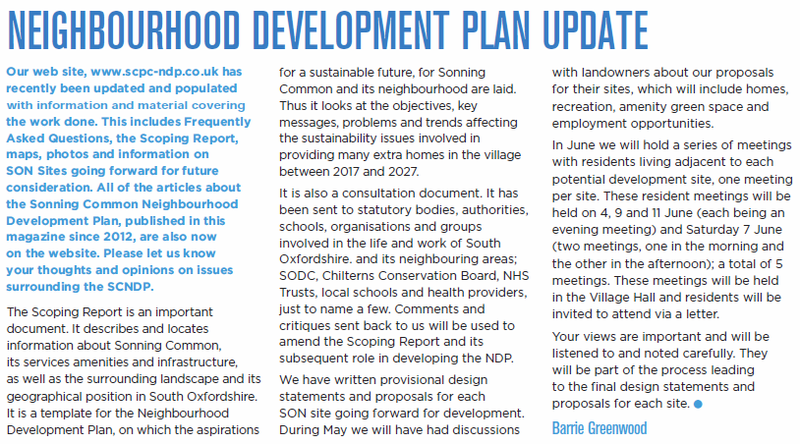 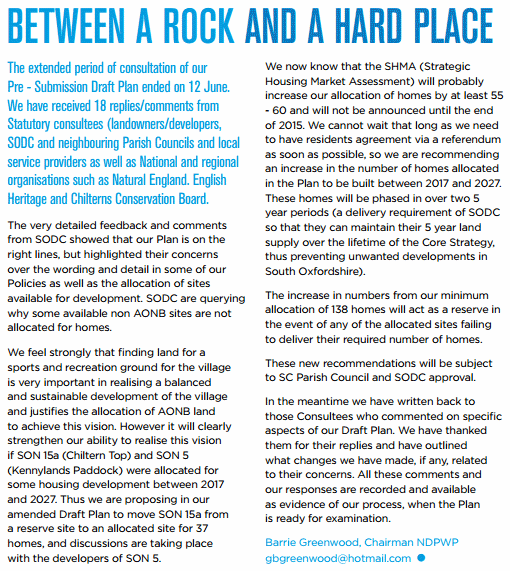 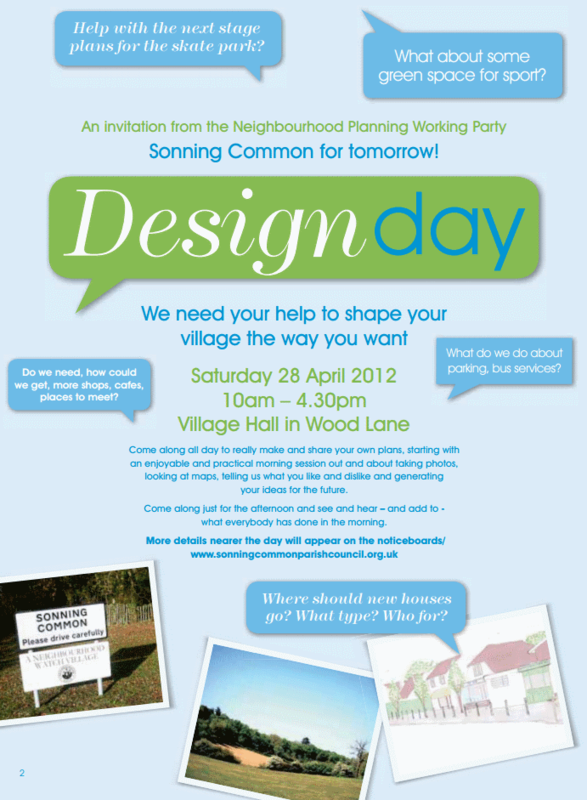 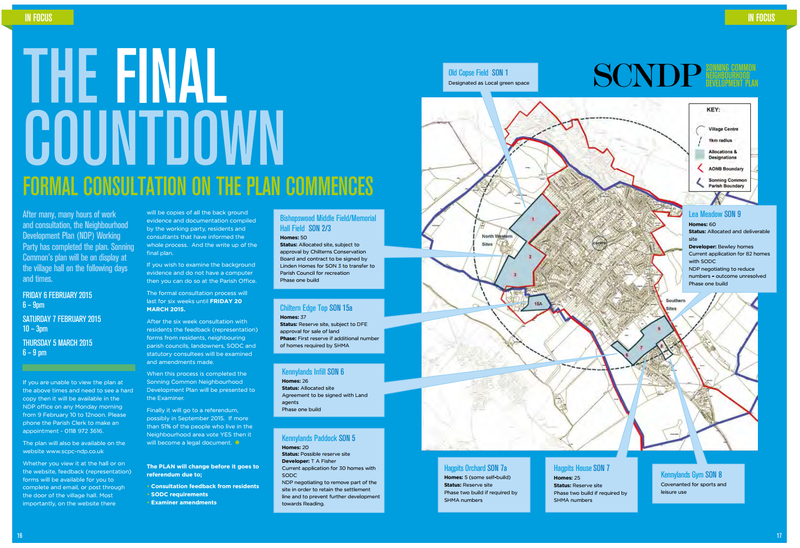 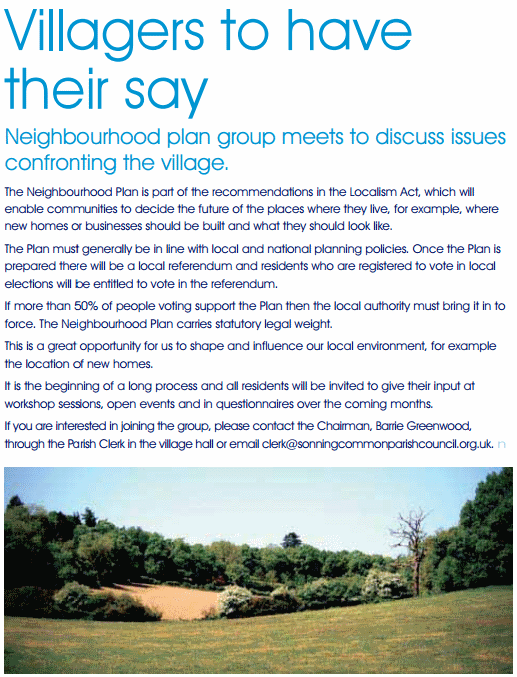 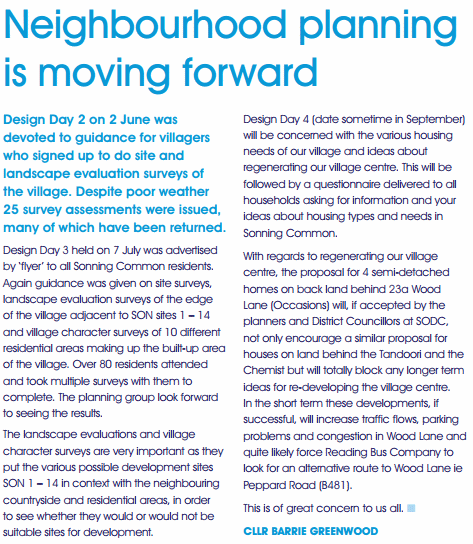 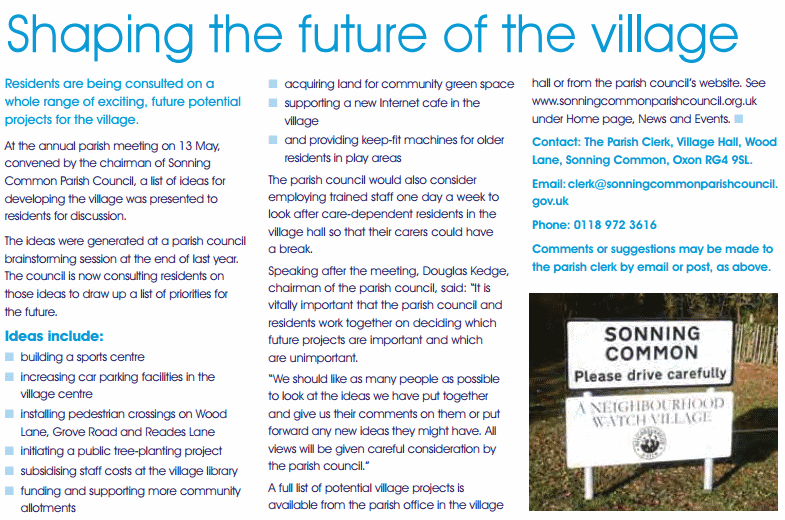 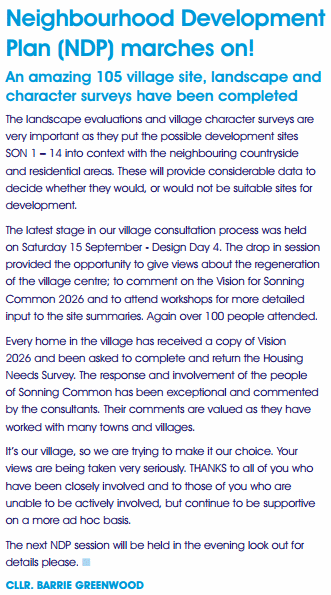 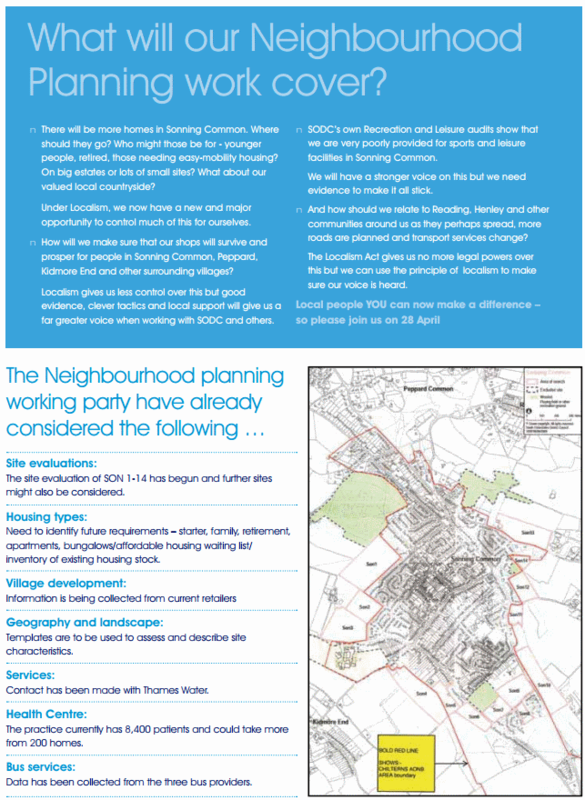 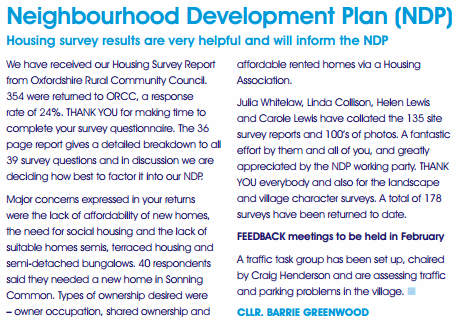 Articles have been published regularly in Sonning Common Magazine since 2012 about the progress of Sonning Common Neigbourhood Development Plan (SCNDP). 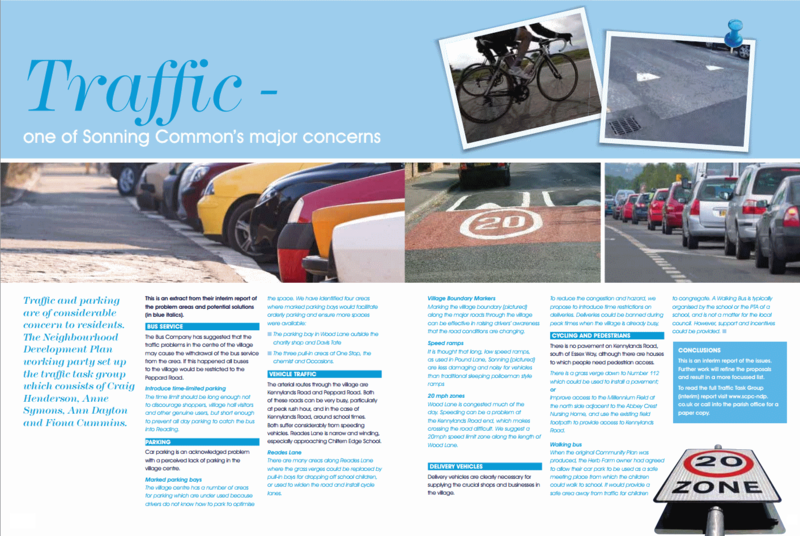 The articles are all listed below in chronological order. 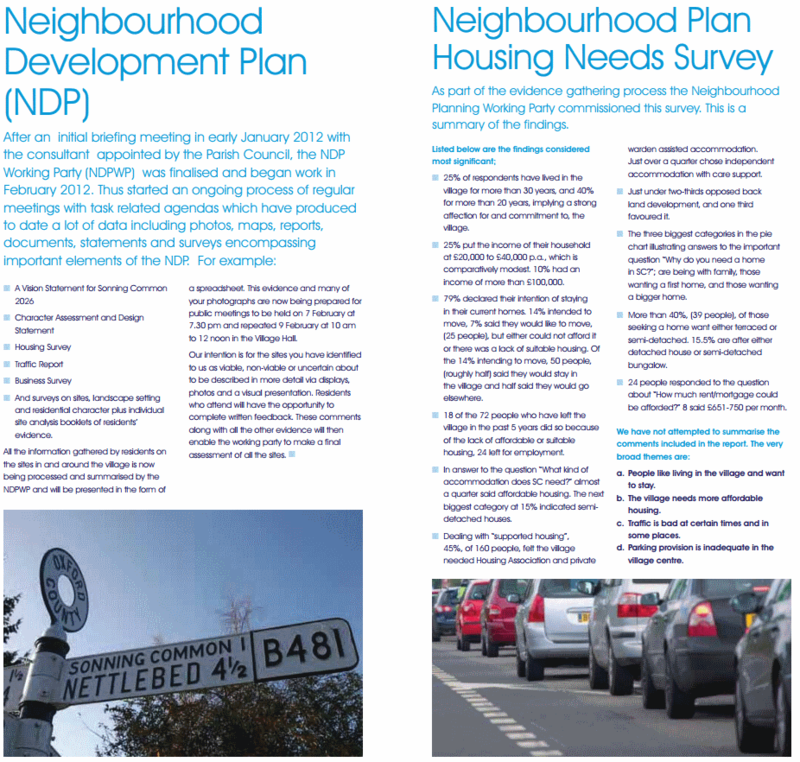 Please click on the underlined links to view the articles. 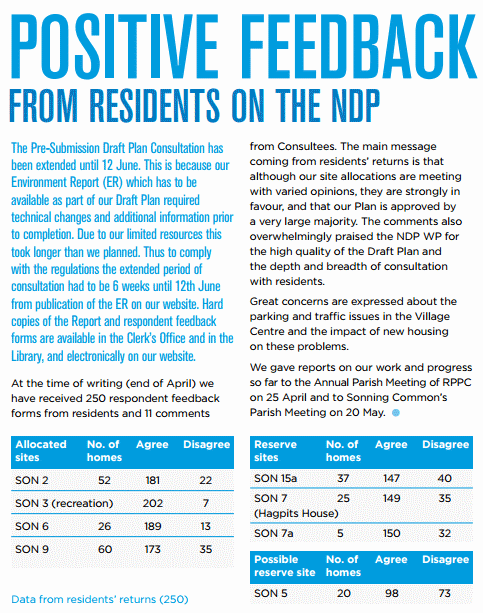 December 2015/January 2016: This has to be the final stage of the NDP!